Written and acted by Matthew Zajac, and based on the life of his father, this extraordinary play tells the story of the tailor’s life and his son’s discoveries about his father using music, poetry, storytelling, and video projection. 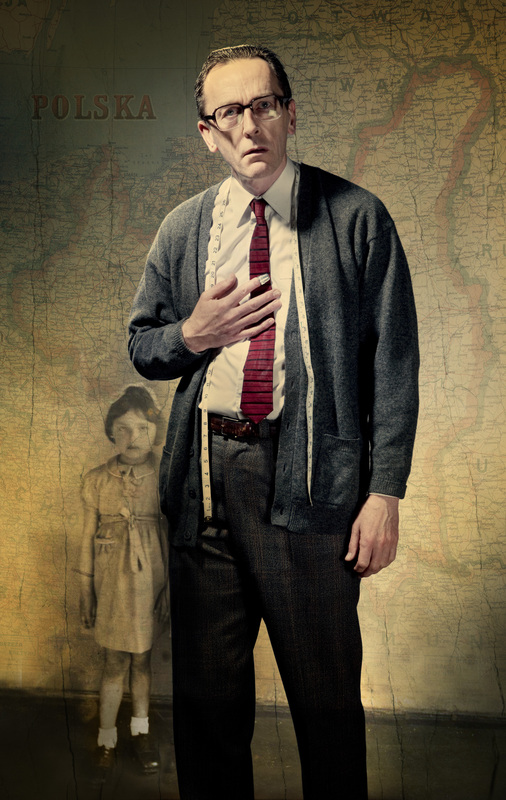 It reveals the impact of war on ordinary people and families, and how a life and an identity can be reconstructed as the tailor journeys from Poland across war-torn Europe and settles in Inverness. The tailor’s life spanned most of the 20th century, and the journey he took was made by thousands of Poles during the Second World War. His was a forced migration, subject to the brutal vagaries of war. Live violin weaves its way evocatively through the piece, with traditional and original songs and tunes from Scotland, Poland and Russia. Singer-songwriter Adam Ross is the prolific mastermind behind the music of Randolph’s Leap. 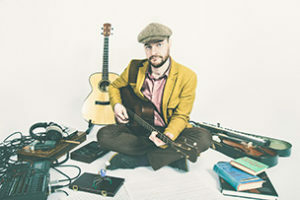 Hailing from Nairn, he has been steadily building up an eclectic back-catalogue of uplifting folk-pop – a mixture of solo home recordings and full-band studio epics. One of Scotland’s most versatile lyricists, Adam can deliver a riotous party when accompanied by his 7-piece full band, complete with brass section. Randolph’s Leap’s sonic world is one of heart-bursting melody combined with funny and poignant lyrics. Multi-award winning songwriter and musician, theatre maker and published writer Karine Polwart is a six-time winner at the BBC Radio 2 Folk Awards, including 2018 Folk Singer of the Year. 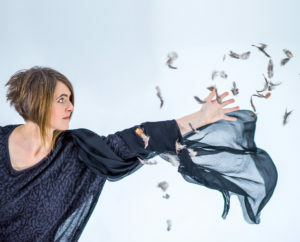 Karine’s seventh release, Laws of Motion, recorded alongside long-term collaborators Inge Thomson (accordion) and brother Steven Polwart (guitars), is the latest in an evolving series of collaborative projects combining music & storytelling with politics & environmental-societal issues. It was named Folk Album of the Year in Mojo. 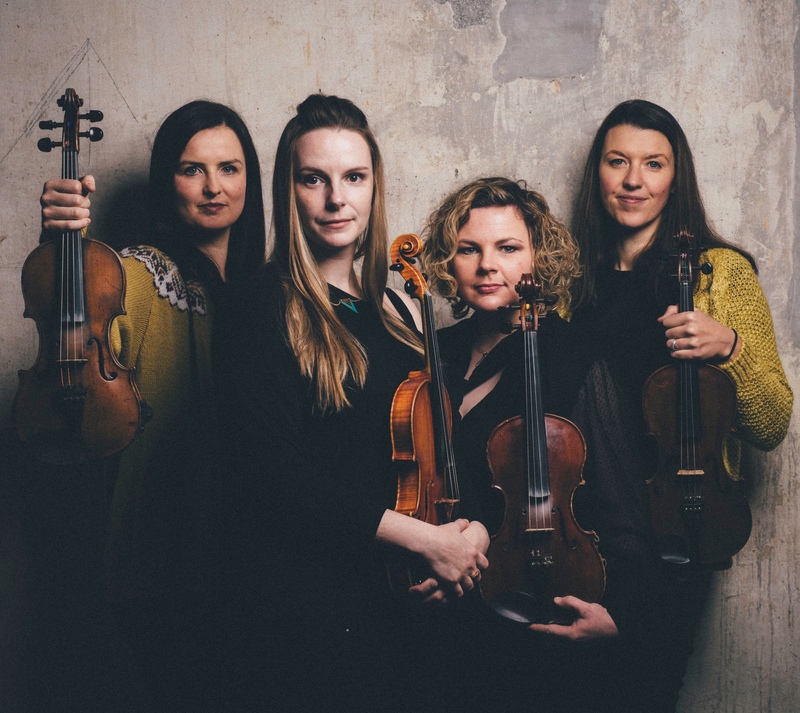 Rant is the meeting of 4 of Scotland’s finest fiddle players, two from the Shetland Islands and two from the Highlands. Nominated in the BBC Radio 2 Folk Awards 2014 for Best Traditional track, they tour their unique brand of ‘chamber-folk’ far and wide. 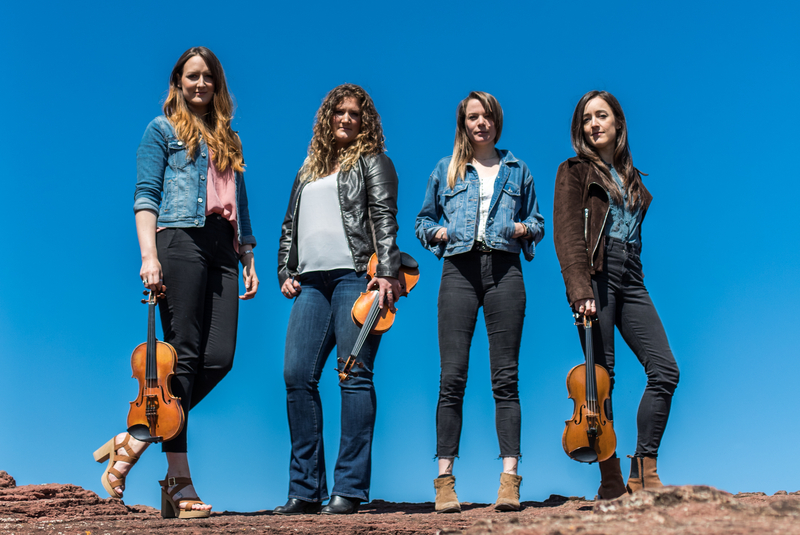 Bethany Reid, Jenna Reid, Lauren MacColl and Anna Massie join forces to create a sound which is both rich and lush, yet retaining all the bite and spark synonymous with a Scottish fiddle player. 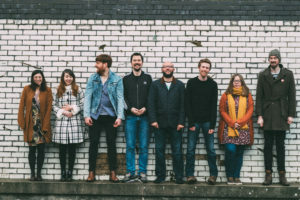 The band have recorded strings for Julie Fowlis and their latest release ‘Reverie’ saw them collaborating with Fowlis once more, and Scots singer Ewan McLennan. Presented by Starcatchers and SUPERFAN, Little Top is a magical first circus experience for babies aged 0-18 months and their adults. 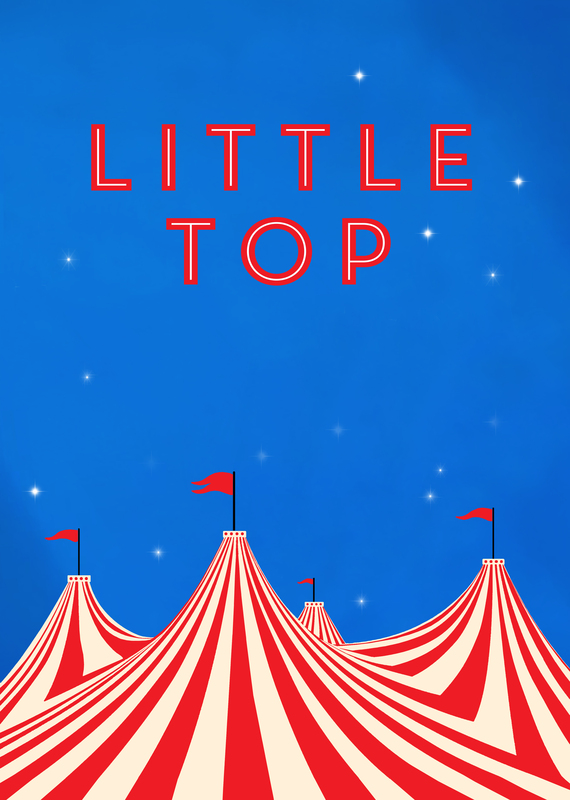 At a time in their development when young children are discovering their own physicality, and the pleasures and perils of gravity, Little Top invites babies to experience all the fun of the circus. Roll up for a gently thrilling performance which includes spectacular balances, astonishing tumbles and inventive juggling. 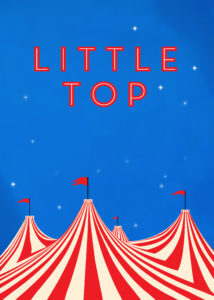 Little Top will transport you to a playful, joyous, upside down, topsy-turvy world where people can fly, patterns fill the air and anything is possible. Please note that this event will be held at Forres Town Hall. 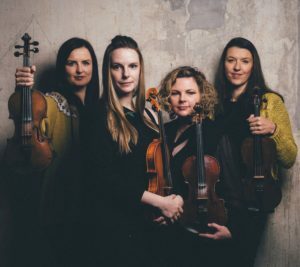 Following their debut release Cross the Line in 2016, Orcadian folk Quartet FARA are touring the UK to coincide with the October 2018 release of their second album, Times from Times Fall. 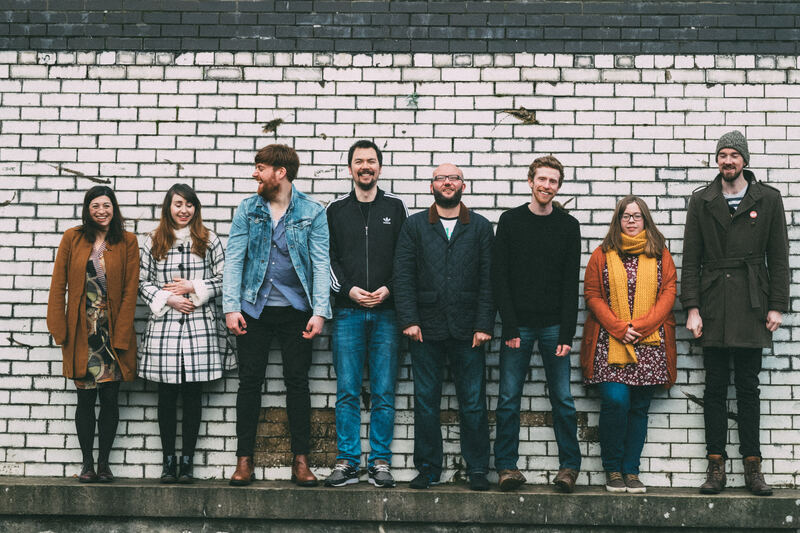 Comprised entirely of self-penned songs and instrumental tracks, FARA will celebrate the community which inspired them to become musicians – an album rooted in the spirit of the Orkney Isles and its people. 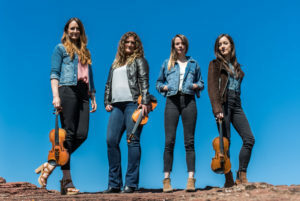 The songs incorporate words by Orcadian poets: George McKay Brown, Edwin Muir and Christina Costie, whilst also pointing in new directions to celebrate the ever-expanding Orcadian folk tradition..
With the release of the new album Rove, Nova Scotia’s powerhouse Còig has cemented its status as one of today’s most exciting new North American Celtic groups. 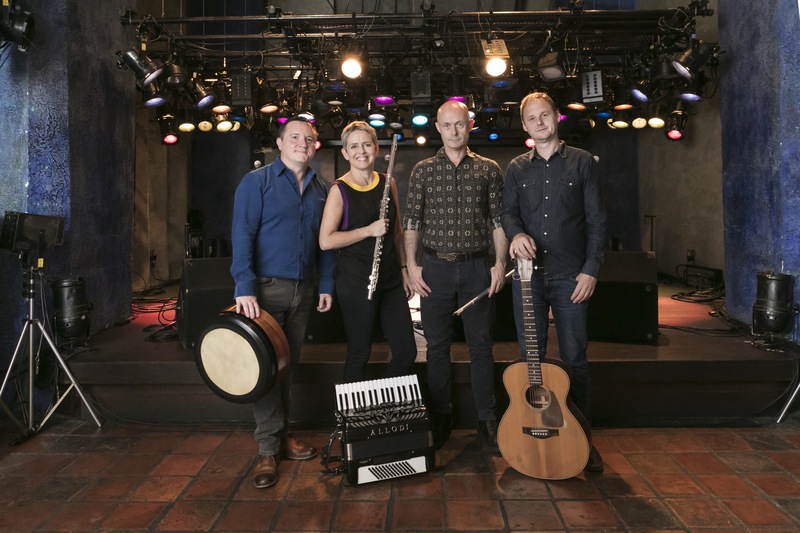 With a combined total of over 30 group and solo awards and nominations, the four members of the band are already recognized as major stars of the Celtic world. Rove is the group’s third album, after 2014’s Five, and 2015 seasonal favourite Carols. Five, won the Canadian Folk Music Award for Traditional Album of the Year. 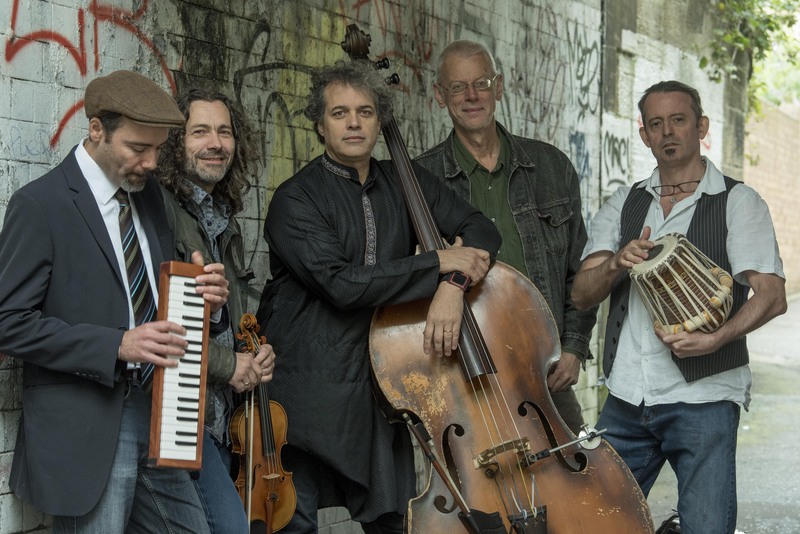 Led by jazz violin superstar Christian Garrick The Budapest Café Orchestra play traditional folk and gypsy flavoured music from across the Balkans and Russia incorporating Klezmer, Romanian Doinas, Hungarian Czadas and beautiful ballads. 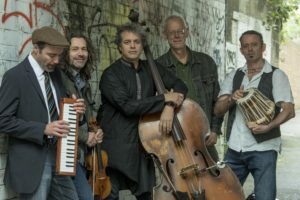 With just four players, the BCO combines violin, guitar, accordion, double bass, saz & balalaika creating an aural alchemy normally characteristic of far bigger ensembles. 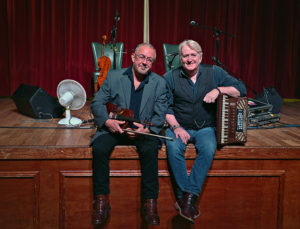 Accordionist Eddie Hession is a supreme accordion champion of Great Britain and Christian Garrick is one of the world’s most celebrated jazz violinists. 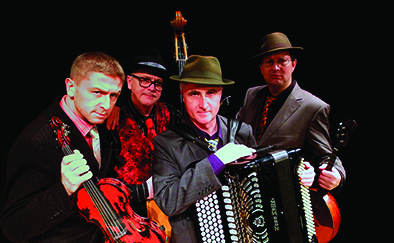 Playing together the orchestra deliver Balkan music with gorgeous skill and delicious humour. One of Scotland’s foremost musicians brings his remarkable new song cycle to Findhorn for the first time. 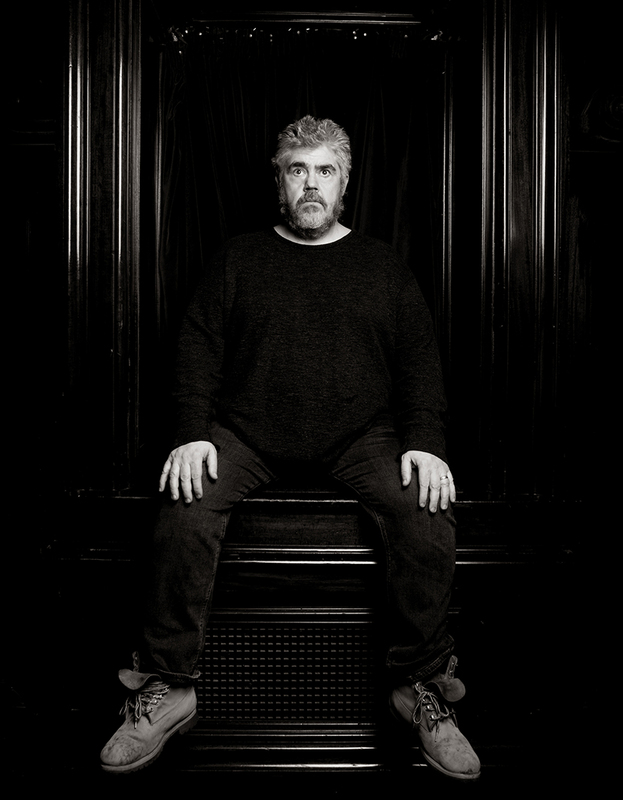 Mike Vass, previously a nominee in the Scottish Album of the Year (SAY) award and winner in the Scots Trad music awards composer of the year category, creates music that draws influence from the neo-classical, indie-folk and electronic worlds. His songs run the gamut from darkly comic to heart-wrenching narrative and all with a terrific melodic sensibility. Much in demand as a producer and collaborator over the past several years, Mike has worked with the likes of Kathleen MacInnes, Fiona Hunter, Malinky, Runrig, Battlefield Band, Siobhan Miller and Findlay Napier – to name but a few. Moishes Bagel’s music consists of driving klezmer grooves, rootsy Scottish folk and tango stylings, classical virtuosity and power, inspired Latin jazz flavours; all brilliantly complemented by a richly unique percussion sound that includes Indian tabla and Middle Eastern darabuka. Equally at home in concert halls, village halls and on festival stages – the Bagels have all the right ingredients to make an evening special. In the 15 years they have been together, the Bagels have developed an instant musical chemistry that captivates audiences with its highly original, deeply involving sound – rooted in folk traditions of the world. 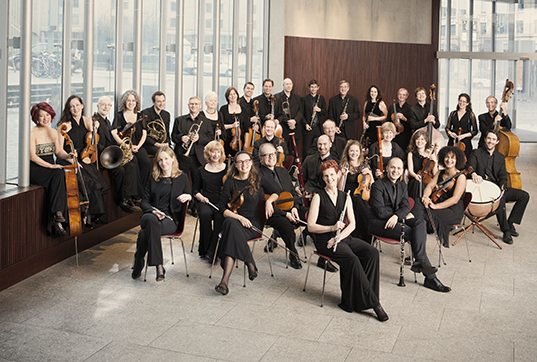 The Scottish Chamber Orchestra is back with its annual (and usually sold-out) concert. The Orchestra’s superb principal Cellist Philip Higham is soloist in Tchaikovsky’s Rococo Variations – a work that tips its hat to the eighteenth century, but is utterly Romantic at heart. The opening of Mozart’s ‘Paris’ Symphony is one of the grandest, most thrilling sounds, with Mozart making use of clarinets for the first time in a symphony. 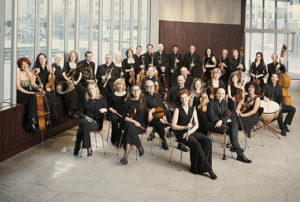 Conductor Philipp von Steinaecker continues the genial high spirits and passion in Haydn’s final Symphony, written when the composer was staying in London. 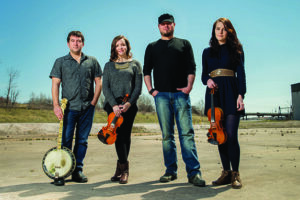 Aly and Phil have become a national institution with their incomparable mastery of fiddle and accordion. They bring their traditional music excellence to this very welcome return to the Universal Hall. Individually they pursue other ventures in performance, television and education but it is when they get together that they truly shine with their finely honed musical skills and hilarious banter. Book early! 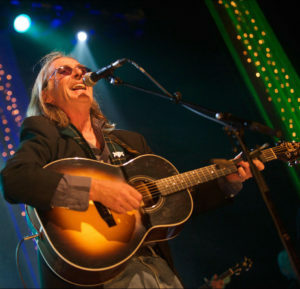 Dougie MacLean is Scotland’s pre-eminent singer-songwriter and a national musical treasure” (SingOut USA) who has developed a unique blend of lyrical, ‘roots based’ songwriting and instrumental composition. He is internationally renowned for his song ‘Caledonia’, music for ‘Last of the Mohicans’ and countless inspired performances. His songs have been covered by Paolo Nutini, Amy MacDonald, Ronan Keating, Mary Black, Frankie Miller, Cara Dillon, Kathy Mattea and many other top performers. He has received two prestigious Tartan Clef Awards, a place in the Scottish Music Hall of Fame, a Lifetime Achievement Award from BBC Radio 2 Folk Awards and an OBE! Book early! Taking inspiration from their roots in the Irish and English traditions, Flook have an enviable trademark sound, weaving and spinning traditionally rooted tunes over precise acoustic grooves, with a rare blend of fiery technical brilliance, delicate ensemble interaction and a bold, adventurous musical imagination. Twenty-four years after their first gig together, Flook continue to inspire and enchant audiences of all ages. With their new album ‘Ancora’ out in 2019, it’s plain to see that Flook, with their roots firmly anchored in the tradition, are holding fast to their reputation as major musical innovators.